HÀ NỘI — Hà Nội topped the National Petanque (iron ball) Championship, which closed yesterday in Sóc Trăng Province. The Hanoian athletes secured three gold medals, half of the total gold medals at the tournament. Bình Dương came in second with two titles and Sóc Trăng was in third place with one gold medal. Yesterday, during the last day of competition, Hà Nội triumphed in the men’s team event, ending their wait of 13 years. “This victory makes us more confident, ahead of the National Sports Games. 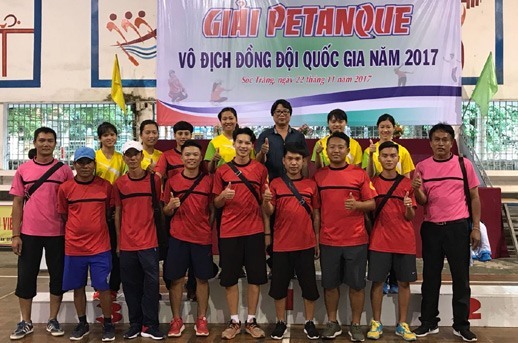 We hope to win another one at next year’s Games, which is to be organised on our home field,” said Đặng Xuân Vui, manager of Hà Nội Petanque Club.